Over the weekend myself and Nicola took a visit to the SECC to visit the Scottish Speciality Food Show. We had a great day meeting some of the producers of delicious food and drink from all across the UK, plus we managed to fill ourself up with tasty samples from the majority of the stall on show. I was also very grateful to receive a huge number of sample products to try at home and I will try to post up my thoughts as and when I work my way through my bag of goodies. Whilst at the show, I gave each of the businesses the opportunity to have their very own '5 Questions' post written up and published on Gerry's Kitchen, to which almost everyone that I spoke to were to keen to have their story told. One of the last stalls that we visited was that of Raisthorpe Manor Fine Foods who produce a wide range of flavoured gins and vodkas in very eye catching packaging. Raisthorpe Manor Fine Foods began as an accompaniment to Raisthorpe Flyers, providing homemade raspberry gin for guests at elevenses. The popularity of the drink grew and in 2008 the company was set up, creating homemade gins and liqueurs out of the farmhouse kitchen. The business continued to grow and with thanks to funding from RDPE via Yorkshire Forward now operates from a brand new factory facility in the heart of the Yorkshire Wolds. 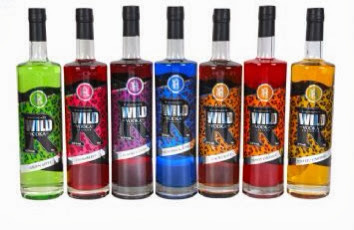 From there our products have gone on to win numerous awards and two of our liqueurs are currently being used in the cocktail bars of Harvey Nichols nationwide. All our products contain only the finest ingredients (locally sourced where possible) created using traditional methods to create our delicious ranges. If you have a great idea then go with it! We would like to see the brand become more National, and to be a supreme premium product. Tangy Orange Vodka, Rhubarb and Greek Yogurt Dessert - simply cook fresh rhubarb, ideally from the Yorkshire Rhubarb Triangle), then mix with our Tangy Orange Vodka before adding to Greek yogurt. Why? because it's deliciously light and can be prepared in no time at all! The one person we would invite would be the painter David Hockney as he has painted many picture showing the wonderful places that surround Raisthorpe Manor, especially the one of the famous 3 Trees. In order to make David feel welcome, we would prepare a menu that would show off some of the fantastic products that we produce on the estate. 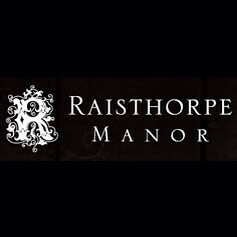 You can keep up to date with Raisthorpe Manor Fine Foods on Facebook and Twitter.